Hi! I'm Sammy Kelner and I am trying to raise money for Foster Care to Success for my Mitzvah Project. Did you know only between 3 and 10 percent of foster youth ever graduate from college? There is a lack of guidance, support and financial resources available to foster kids. 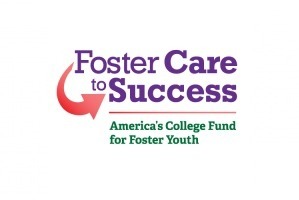 Foster Care to Success is helping to change that. Their Sponsored Scholarship Program provides the guidance, support and funding to help these students thrive in college. With their help, these students have a 65% graduation rate in 5 years, higher than the national average for all students. My goal is to raise $5000 for this organization, enough to help one student attend classes for one year. While this is only a small fraction of what is needed to help even one student, my hope is to educate my friends and family to this need and get others involved to help these students, who are often overlooked, to succeed in life. I have been blessed with a wonderful, supportive family who takes care of me and provides for my future. Please help me to help these students who have not been as lucky in life. They deserve a chance at a successful future, too. Thank you for your generosity. I appreciate anything you can contribute to this worthy cause.